Defining what exactly Red Dirt music is has been as notoriously difficult. It takes its name from the color of the soil around Stillwater, Oklahoma, which seems to be the unofficial home of Red Dirt. But there's also a proud tradition of Red Dirt musicians from Texas. And some even deny that Red Dirt is even a genre at all. Red Dirt music has become almost a paradoxical mistake, created out of its own non-existence. Though its roots stretch back further, the Red Dirt movement didn't really hit its stride until the 2000s when people began to recognize the absence of a term to classify the music coming out of Oklahoma and Texas (though at the time each was unique). The term "Red Dirt music" began to get bandied around with greater frequency to the chagrin of many who refused to use it, calling the music instead Texas country. But it may have been this insistence not to use Red Dirt that helped the term gain traction. After all, by naming it (even in negation), the music was given a rallying point, a call to existence. Either way, by 2003, the Red Dirt Music Hall of Fame had its first inductees. Whatever the origin, Red Dirt music is classified by a rebelliousness, a refusal to bow to Nashville standards. It is a fusion of musical stylings, often heavy with rock, blues, and folk. Perhaps more than any style of music, however, it is ideal--Red Dirt musicians make the music they damn well please, thank you very much. Some say that Texas Country stretches back to Waylon and Willie and the boys. Certainly, the idea behind the music does. Both Texas Country and Red Dirt music share many qualities with Outlaw Country. Red Dirt can actually be traced back to being associated closely with Woody Guthrie. Though they originally were two separate, though related styles of music, today Texas Country and Red Dirt music have undeniably gelled and become their own genre. Although it may be nearly impossible to classify, it does have that certain feel that when you hear it, you know it. A genre that we will call, for simplicity and accuracy's sake, Red Dirt music. And there are certain artists who are synonymous with Red Dirt music. Artists without whom the movement and the genre would not exist. They are the fathers of Red Dirt music, the uncles, the drunk cousins who find sobriety in a campfire guitar. They are the legends of Red Dirt music. Steve Ripley could arguably speak about the history of Red Dirt music and its nomenclature better than anyone. You know him best for his work with The Tractors, but it was Ripley's band, Moses, that first defined Red Dirt country in 1972. Their independent album, Moses Live was released under the made-up label Red Dirt Records. The liner notes described the music as "a hue of funk, a shade of sound, a basic spirit." Ripley himself has described his music as country-something. Something, it seems, that was just waiting for a name. Essential songs: "Baby Likes to Rock It," "Fast Girls," "Shortenin' Bread"
Like Ripley, LaFave wasn't born in Stillwater but moved there. He spent a good portion of his young life picking Bob Dylan, and consequentially Woody Guthrie, songs. When he moved to Austin to operate an open-mic he would take his Oklahoma inspiration with him. He began singing about red dirt and the lifestyle it evoked, eventually penning "Red Dirt Roads at Night," a rallying anthem for Red Dirt musicians. Essential songs: "Red Dirt Roads at Night," "Hideaway Girl," "Rain Falling Down"
Childers is universally respected as Red Dirt's first poet laureate. He was another transplant to Stillwater, writing, playing and recording with LaFave and another Stillwater regular, Garth Brooks. Childers moved around--to Nashville and Austin--but eventually settled back in Stillwater where he set his pen and guitar strings to writing the songs that have helped define the Red Dirt genre. Childers passed in 2008. Essential songs: "When Our Work Is Done," "Buffalo Thunder," "Restless Spirits"
Both LaFave and Childers wrote songs that mentioned The Farm. The Farm was an unused piece of land in Stillwater where the local musicians would go to hang out and jam, bringing with them whatever musical background and tastes they had. Its house was rented by one of these musicians starting in 1979, a man named John Cooper. Along with other musicians who used The Farm as a musical and spiritual refuge, Cooper would form The Red Dirt Rangers. Essential songs: "Idabel Blues," "Where the Arkansas River Leaves Oklahoma," "Work it Out"
Skinner was another Farm regular, helping to contribute to the pedigree of songwriting and Red Dirt culture that came out of The Farm. Like Childers, Skinner opted for Red Dirt music over the Nashville sound, abandoning his band with Garth Brooks Santa Fe. Skinner, along with Ripley and Childers were the first inductees into the Red Dirt Hall of Fame. He died in 2015. Essential songs: "It Ain't Easy Being Me," "Feeling that Makes Me Roam"
Yet another graduate of The Farm, McClure formed the band The Great Divide and released six studio albums, drawing local attention to the music scene in Stillwater. Meanwhile, The Great Divide's success began to earn Red Dirt music national attention. McClure would later release several solo albums and produce the records of nearly every Red Dirt musician you've ever heard of. Essential songs: "In My Ears," "Lucky Man," "She Gets to You"
All the hubbub coming out of Stillwater attracted a young band popular on the college scene founded by Cody Canada, Randy Ragsdale, Grady Cross, and Matt Wiedemann. They need no introduction. Cross Canadian Ragweed became perhaps the most well-known Red Dirt band in the nation, bringing further attention to the Stillwater scene. After they opened a show for Dierks Bentley in Vermont in 2005, Dierks told the crowd that back in Texas, he opens for them. One of CCR's first albums was a live album recorded at the Wormy Dog Saloon. Essential songs: "17," "Alabama," "Boys from Oklahoma"
One night while CCR was playing at the Wormy Dog, they invited Stoney up on stage with them for a song. When Stoney stepped off the stage he was offered a job playing at the bar. Though his focus wasn't on recording music, Stoney became well-known for his poetic lyrics and entertaining shows. He is one of most popular active Red Dirt artists. Essential songs: "Feet Don't Touch the Ground," "Downtown," "Crystal Eyes," "Oklahoma Breakdown"
Stoney, along with Cody Canada, moved in with another local musician, Jason Boland. Boland and his band, The Stragglers, would release a series of albums that would become some of the most successful Red Dirt records ever. Whereas CCR brought rock and Stoney brought folk, Boland brought a more traditional side to Red Dirt music, with fiddles and steel guitars, while still maintaining a hard, outlaw edge. Essential songs: "Pearl Snaps" "Somewhere Down in Texas," "Truckstop Diaries"
Meanwhile, in Texas, country music is up to some interesting things of its own. A couple of kids named Robert Earl Keen and Lyle Lovett meet and attend university together, famously jamming on Keen's porch. While Lovett would go on to become a star in his own right, Keen would become the face of Americana, appearing on the cover of the first ever magazine recognizing the genre. Americana, of course, is what people outside Texas called Texas Country musicians. Essential songs: "The Road Goes On Forever," "Feelin' Good Again," "I'll Go On Downtown"
Pat Green sold more than 250,000 albums before he was ever signed to a major recording label. That's how much Texas loved its native son. Green dedicated himself to music in '97 and soon drew the attention of Willie Nelson, who invited him on tour. Soon you couldn't go anywhere without hearing the chants "Pat f-ing Green!" By the time Green left Texas for Nashville, his face could have been carved in Texas' Mount Rushmore. And although he has been accused of selling out, Green perhaps did more than anyone to draw awareness to Texas Country. Essential songs: "Carry On," "Southbound 35," "George's Bar"
Texas' answer to Cross Canadian Ragweed, Reckless Kelly won four Austin Music Awards for Best Roots Rock Act with their debut album in 1998. They never looked back, becoming local favorites with their high-energy shows and pure Texas country songs which could feature anything from Irish fiddle work to the inner tube, if you believe frontman Cody Braun. Essential songs: "Seven Nights in Eire," "Crazy Eddie's Last Hurrah" "Nobody's Girl"
Like friend Pat Green, Morrow sold over 200,000 albums without ever signing to a major recording label. Unlike Pat Green, Morrow never went Nashville and has carried on preserving the Texas Country tradition proudly. 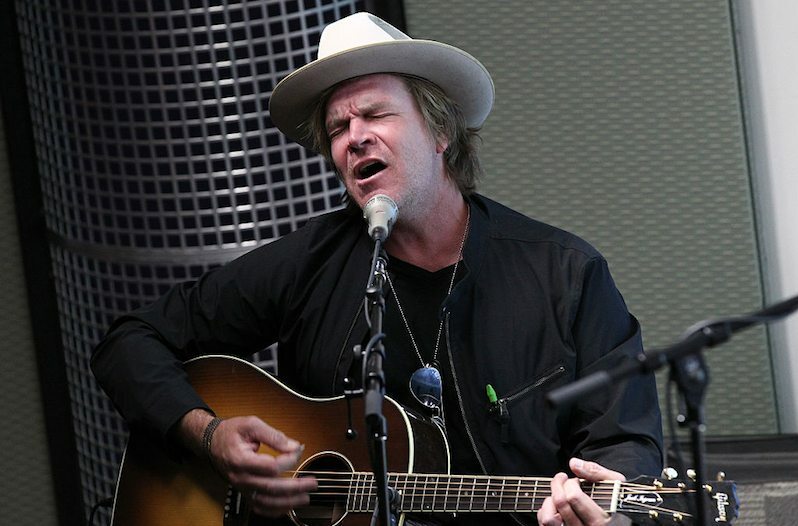 Essential songs: "Nashville Blues," "Big City Stripper," "Just Along for the Ride"
Jack Ingram was a hero of Texas music throughout the 90s and early 2000s. He toured extensively, playing and living the Texas Country lifestyle and helping to usher in the next generation of Texas musicians. He collaborated with other artists like Charlie and Bruce Robison and penned the anthemic "Barbie Doll." Ingram later made a foray into mainstream country music but returned to the Texas music scene in 2016 with a new album, Midnight Motel. Essential songs: "Beat-up Ford," "Keep On Keepin On," "Run Away With You"
Kentucky's Chris Knight was awarded Honorary Texan in 2006 by governor Rick Perry because of his fame and influence as a musician. Knight is a Texan's Bob Dylan, directly descended from Guthrie in his emotional portraits of the struggles of Everyman. As befitting a legend, his very first demo tapes, which he bootlegged and self-released, became the best-selling album of his career. Essential songs: "It Ain't Easy Being Me," "Cry Lonely," "Enough Rope"
At this point it becomes hard to distinguish between Red Dirt music from Stillwater and Texas Country from Texas. And there are many other artists and bands who played influential roles in the creation and fusion of what has become an institution and a force on the national music scene. First-generation folks like Ray Wylie Hubbard, James McMurtry, and Jerry Jeff Walker. Acts that brought Red Dirt into the spotlight like the Randy Rogers Band, Roger Creager, Eli Young Band, and Wade Bowen. And a hundred others. With a heritage like this, it's safe to say that Red Dirt music is only picking up steam.